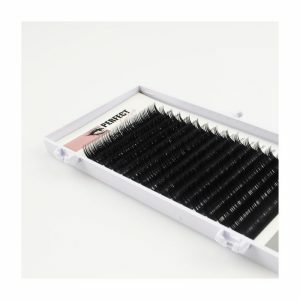 Perfect Eyelash Volume Lashes are very soft and deep black. Because of the silk layer the Lashes have an even better shine. Lash boxes consist of 16 rows and specify the length of each row. This is very useful when working with a Lash pallet. The Perfect Silk Lashes are available in B, C, CC, D, J & L Curl and thickness 0.03 / 0.05 / 0.07 and 0.10 mm.